Capturing, filtering, and redirecting rainwater can serve as a powerful resource for your domestic water needs, particularly in cold, rural climates. Raingardens, bioswales, berms, and tree pits are easy to construct and have the potential to transform your home’s natural landscape. 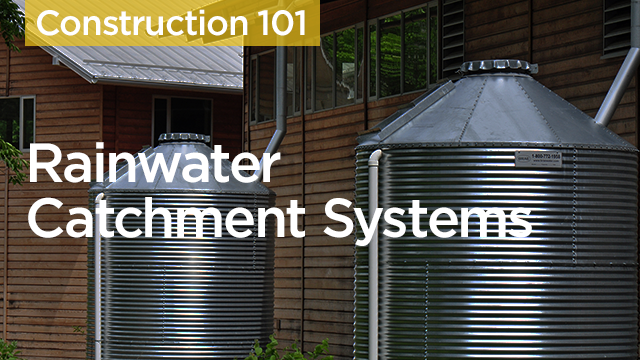 In this course, you will learn the benefits of such rainwater catchment systems, how they function, and how to install your own. Learn how to properly filter rainwater for domestic use. Discover the pros and cons of several rainwater catchment methods. Identify which method for rainwater catchment is best suited to your needs. Learn how to install and maintain your own cold climate rainwater catchment system(s).